In 2018, Voices and our partners worked to raise awareness of issues children and their families encountered in foster care. We successfully helped pass the Kinship Guardianship Assistance program, which provides financial assistance to a limited number of children placed in licensed foster homes with their relatives. In 2019, we are entering into the legislative session on the heels of the release of the Joint Legislative Audit and Review Commission’s study of the foster care system. There is renewed energy from lawmakers to respond to the concerns about the safety and well being of children in the foster care system. In addition, lawmakers are preparing the state to begin implementing the Federal Family First Prevention Services Act. In 2019, Voices helped create the first-ever Foster Care Unified Agenda. The Unified Agenda is crafted by partners from across the Commonwealth who represent policy advocates, service providers, parents and caregivers, and—most especially—youth to identify key legislative opportunities to improve Virginia’s child welfare system. We are grateful to this network for helping us accomplish the significant work for children, youth, and families impacted by the foster care system during the 2019 legislative session. The Unified Agenda can be downloaded here. 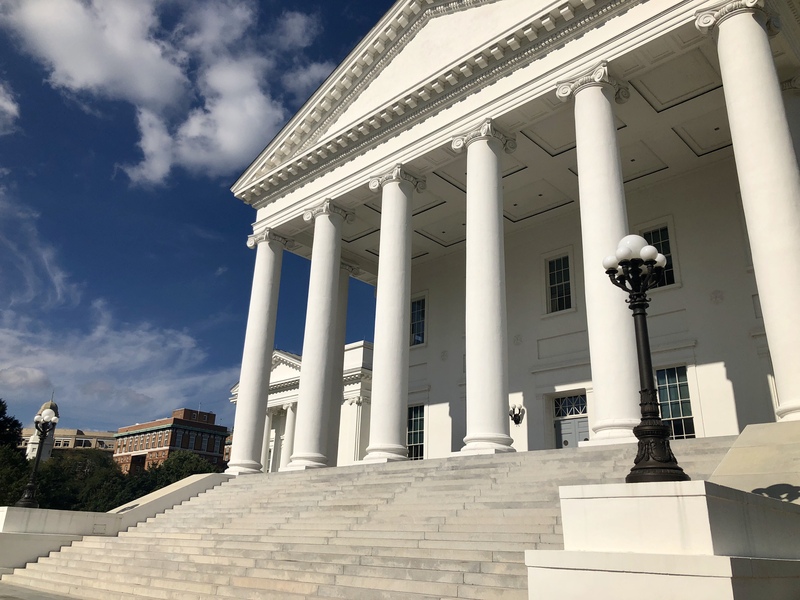 Legislators from both sides of the aisle gathered Tuesday, Jan. 15, 2019 to show their support for much-needed changes to Virginia’s foster care system. The newly created Foster Care Caucus was hosted by co-chairs Del. Emily Brewer, R-Suffolk and Sen. Monty Mason, D-Williamsburg. The caucus hopes to raise awareness of the deficiencies within the foster care system, support the initial steps to implement the federal Family First Prevention Services Act, and bring structure and supports to the kinship diversion program. Read more about it here. PASSED: Post Adoption Contract HB1728 (Reid) requires the court to consider the appropriateness of a written post-adoption contact and communication agreement entered into in any case in which a child has been placed in foster care as a result of court commitment, an entrustment agreement or other voluntary relinquishment by the parent or parents, or in cases in which there is voluntary consent to the adoption of the child at a permanency planning hearing. Under current law, such consideration is discretionary. The bill further requires, for agency adoptions, the agency authorized to place the child for adoption to inform the birth and adoptive parents of a child that they may enter into a written post-adoption contract and communication agreement. The bill further requires a circuit court to approve a post-adoption contact and communication agreement authorized or entered into unless certain determinations are made or certain factors are present. Update – The bill has passed out of the Senate and House of Delegates and awaits the Governor’s signature! Update – The House and Senate version has passed the Senate and House of Delegates and awaits the Governor’s signature! BUDGET UPDATE: Both the final proposed budget includes the budget amendment for HB1730, which is $400,000 out of the general fund. PASSED: Foster Care Omnibus SB1339 (Reeves)- This bill makes numerous changes to the foster care statute. A full breakdown of the bill is posted here. Update: This bill has passed the Senate and House of Delegates and awaits the Governor’s signature! BUDGET UPDATE: The fiscal impact of SB1339 was included in the final proposed budget, which is 2.8 million out of the general fund. PASSED: Motor vehicle insurance policies; foster parents and foster children – HB1883 (Keam) prohibits an insurer from refusing to issue or failing to renew a motor vehicle insurance policy solely because of the status of the applicant or policyholder, as applicable, as a foster parent or minor in foster care. PASSED: Family First Prevention Services Act HB2014 (Peace)/SB1678 (Mason) aligns the Code of Virginia with the Family First Prevention Services Act of 2018. You can read all about the Federal Act in our blog here. Update: The House and Senate version have passed out of Senate and House of Delegates and awaits the Governor’s Signature! Budget Update: The final proposed budget included $851,000 to be used investing in evidence based services for children. Update – This House and Senate version has passed out of the Senate and House of Delegates and awaits the Governor’s Signature! PASSED with an Amendment*- Higher educational institutions, public; tuition and fees, foster care youth HB2350 (Miyares) requires each associate degree-granting public institution of higher education (i.e., Richard Bland College and each comprehensive community college) and each baccalaureate public institution of higher education to provide a grant for the payment of tuition and certain fees for any Virginia student who (i) (a) has received a high school diploma or has passed a high school equivalency examination approved by the Board of Education and was in foster care or in the custody of the Department of Social Services or is considered a special needs adoption at the time such diploma or certificate was awarded or (b) was in foster care when he turned 18 and subsequently received a high school diploma or passed a high school equivalency examination approved by the Board of Education and (ii) meets certain other criteria. Update – This bill has passed the House and Senate and awaits the Governor’s signature. DIED: Children’s Ombudsman, Office of the, and Children’s Advocacy Fund; HB2381 (Hurst) creates the Office of the Children’s Ombudsman to provide ombudsman services, including investigation of complaints, advocacy, and information for children, parents, and citizens involved with child-serving agencies, defined in the bill. 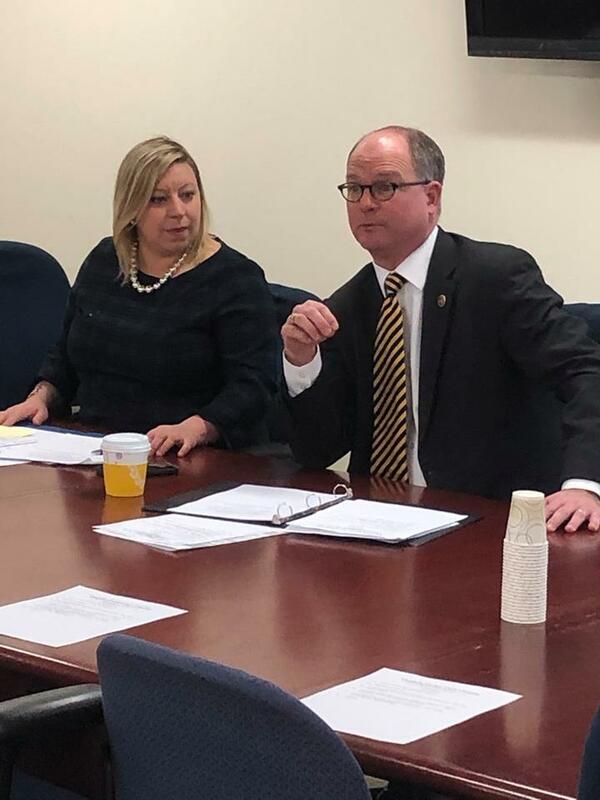 The bill provides for the Office of the Governor to conduct a needs assessment with the Department of General Services to provide for the office space needs of the Office of the Children’s Ombudsman. The bill also creates the Children’s Advocacy Fund for the purpose of supporting the operations of the Office of the Children’s Ombudsman. The Fund would be funded in part by fines collected from criminal offenses involving a child. Update – This bill was laid on the table (died) in the appropriations subcommittee on health and human resources. See you next year! TANF Benefits Rate Increase of Five Percent – $3.2 Million – Voices supported an increase for Temporary Assistance for Needy Families to help children in low-income families and because it the only financial resource available to kinship caregivers. Develop Comprehensive Plan for TANF Program – Language Only – Proposes developing a plan for how to utilize the $100+ million on the TANF surplus. Review of Foster Care Children in Congregate Care – Language Only – requires VDSS to review all cases of children in congregate care (group settings) without a clinical need to be there and assist local departments in finding appropriate family-based settings. Foster Care Recruitment and Strategic Plan – Language Only – requires VDSS to develop a foster care recruitment and retention strategic plan with assistance from a work group of local department directors, foster parents, and local child placing agencies. Forecast of TANF, Child Care, Foster Care, and Adoption Program – Language Only – This requires the Department of Planning and Budget to convene a meeting with staff from the VDSS, House Appropriations, and Senate Finance to review trends and assumptions used in the forecast prior to their finalization. This is being asked because as the cost of living increases so does the payments to the services listed.